With numerous indoor, outdoor and private pools and spa's plus a kids water playground, Taupo DeBretts has your family fun covered! 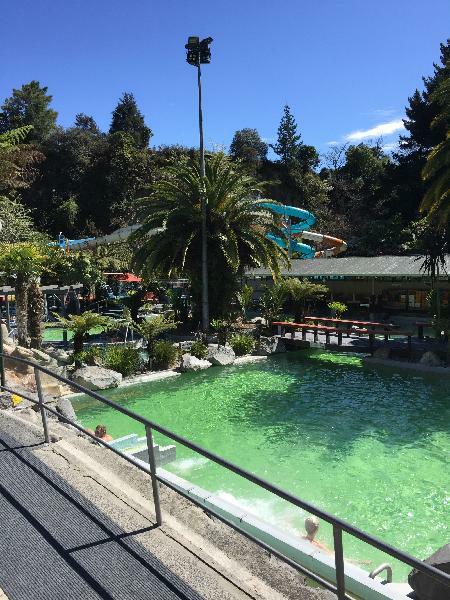 Bathe away all the cares in the world amongst natural surroundings at the iconic Taupo DeBretts Hot Springs & Water Park. Enjoy two large outdoor mineral pools complete with inviting waterfall, lush landscaping and bubbling hydrotherapy spots to work those tired muscles. Rest easy on our popular Water Air-Bed, whilst absorbing the New Zealand native surroundings of Onekeneke Valley. Take a break in one of 12 indoor private pools and enjoy a soak in absolute seclusion in various soothing temperatures. Cool off in our fresh-water chlorinated pool or two spa pools. The perfect spot for a good old game of Marco Polo. The little ones will get a thrill out of our Interactive Warm Water Playground, equipped with a slide, spinning wheels, a water mushroom and a wicked tipping bucket! Our four storey high Dragon Slide offers an open tube thrill before zipping through the Dragon’s head and landing in a warm 1.2 metre deep pool. To add more thrills, you might want to zoom down one of two heated Racing Hydro Slides. Choose from the translucent Blue Crush or Gold Rush, both offering twisty turns at the same distance. Taupo DeBretts Hot Springs benefits all age’s groups, whether it be for relaxation, therapeutic purposes or just plain fun, feel the experience for yourself. Please note: Entry to the Hydro Slides is not included but can be purchased directly on the day. Slide entry is subject to a minimum height of 1.2 meters and a maximum weight of 90 kg. Great value for money on s gray day! An Arvo spent getting into Hot Water literally!! Great space to relax with friendly staff! How can you not love this place! It is awesome to sit in the different hot pools around the park. However, it's pity that the water slides are extra and you need to pay for each person to use them. At least it might be a good idea to arrange a deal package for the park entrance together with the slides. It was a relaxing experience the bubble chair was cool but my fav is the private pool which you can choose the water temp. and you can relax by yourself or with friends. The staff are very friendly as well and the facility is clean. 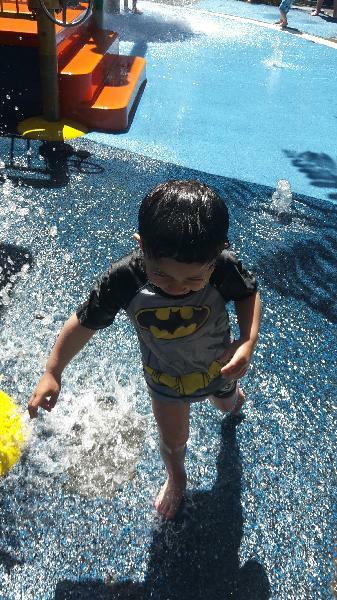 Your message has been sent to Taupo DeBretts Hot Springs & Water Park - Entry. You should hear from them shortly. Please note: all responses will come directly from Taupo DeBretts Hot Springs & Water Park - Entry, and not the team at Bookme.